I am number 1, aren't I? Re: ATTENTION ALL THOMAS FANS! WOW! Great! 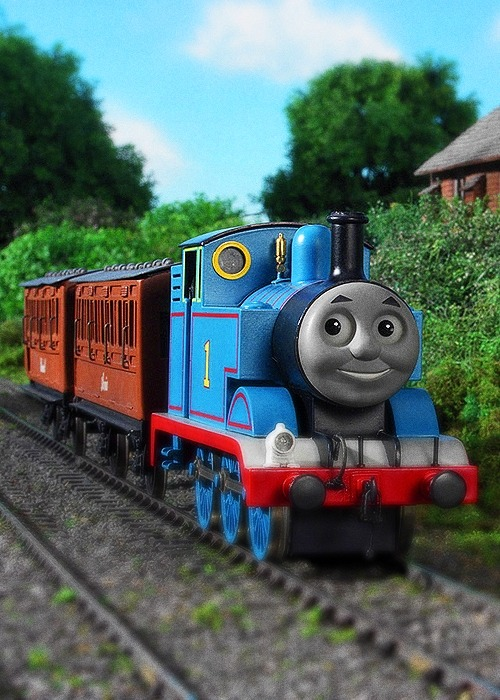 I Love these new Large Scale Bachmann Thomas models! They look right out of the TV Series! Hey, even though Butch hasn't made an appearance in a long time, do you think he may become a Bachmann model? Oh, by the way, the idea of having Rosie, Duck, and some of the other characters that you all mentioned sounds good to me. Hey, even though Butch hasn't made an appearance in a long time, do you think he may become a Bachmann model? Here is your answer, Buy the Learning Curve model, or the ertl model ( If there is one ), or the Take-Along model. yep, their is a ertl model and its good looking too! Where? I need proof for this one. And ever heard of a one word post? You're a forum admin. You should know this. I don't know why you say that Sparks won't like this, I don't really like it now that I look at it. Pasquale posted in this after over 4 months of disuse. Now, I feel stupid.